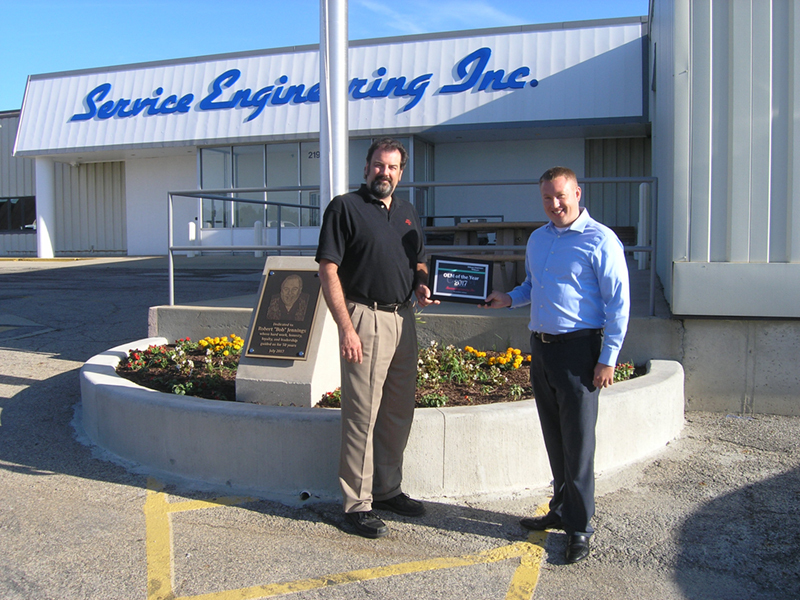 News | Service Engineering, Inc.
Service Engineering Does It Again! We are proud to be the most successful OEM in the history of their 33-year program and we are thankful to all of our customers who have helped make this happen. 2017 OEM of the Year Award from Nick White (right). This building expansion is planned for the East end of our building and is being done in response to steady growth in sales and product offerings. Stay tuned for more exciting news. SEI step feeders are now available. Contact a Project Manager for details at (844) 841-4172. © 2019 Service Engineering, Inc. All Rights Reserved.